Price: They’re free, or relatively inexpensive. High-Quality: The material is explained well with the appropriate level of detail on these sites. To cite an example, when I finally got around to reading classic software books like Robert C. Martin’s Clean Code or Steve McConnell’s Code Complete, there were a lot of best practices that I had already internalized because that was the style employed by teachers on Treehouse. Before we get started: I’m making a distinction here between sources that actively teach development, and resources to utilize as a reference to while you are learning and actively working as a developer, which I’ll be discussing in a later post. What’s their deal? 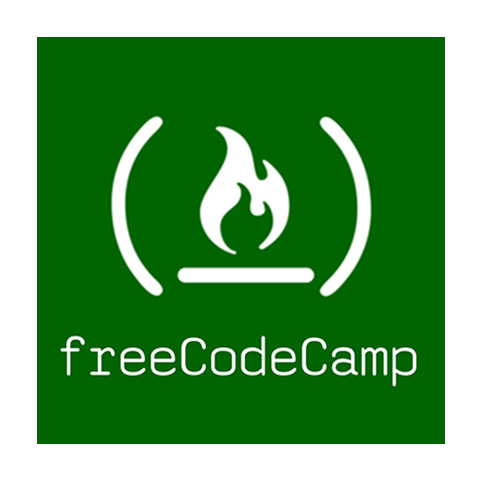 : Founded in 2014 by Quincy Larson, freeCodeCamp is exactly what it says on the tin: a free online coding boot-camp. Strengths: There is an embarrassment of riches in terms of learning material after a recent upgrade of the site, hundreds of coding challenges, and certifications to show when you’ve passed certain milestones in your coding journey. freeCodeCamp also has a fantastic, highly supportive community on its official forum and on Twitter. If you’re new and don’t know where to start, freeCodeCamp has the most organized path of progression out of all the resources sources listed here. How much does it cost? : Um, it’s free. If you’re so inclined, you can set up a monthly donation to help keep the lights on. How essential is it? : Don’t let the length of the weakness section here fool you: freeCodeCamp is one of the most integral learning resources for new developers and developers who want to expand their knowledge. What’s their deal? : Pluralsight is a subscription site with hundreds of comprehensive video courses on a vast array of tech subjects. How much does it cost? : At the time of this writing, a Pluralsight membership is $35 dollars a month, or $299 for an annual membership. Strengths? : Pluralsight has an impressively broad curriculum available, from design to development to many other IT topics. There quite a few topics that aren’t discussed on any other resource on this entry except for Pluralsight. There are lots of courses by high-profile teachers such as Douglas Crockford, Deborah Kurata, and John Papa. There are quizzes to test your knowledge of a particular technology or retention of a certain course section’s material. Weaknesses? : Pluralsight currently lags behind the other resources I talk about here to keep up to date, particularly on it’s learning paths. The “Skill IQ” feature that tests your knowledge of a technology can be quite arbitrary since it’s just a multiple-choice test that you can get extremely lucky or unlucky on. How essential is it? : This is very situational. If there’s something that you need a deep dive on that isn’t covered in depth somewhere else, Pluralsight has you covered. But Pluralsight, as good as it is, has some limitations that force me to recommend it with caveats. Strengths? : Wes is an excellent teacher and a deeply experienced self-taught developer. His courses are comprehensive projects that will give you a solid grounding in the technologies they teach if you take notes and really pay attention to what he’s teaching. Wes explains concepts on a very accessible level. Weaknesses? : Only that there’s only so much material, but c’mon, he’s one guy! Some of the courses (Sublime and Command Line) are pretty dated, but that’s not the norm; Wes is very good about keeping material current. What’s their deal? : Founded by Ryan Carson in 2011, Treehouse is an online learning platform with a mission to make learning affordable and accessible. They have a wide array of courses comprised of video lectures, quizzes, and coding exercises. The curriculum covers topics related to web development but also dips into business, design, and other related topics. How much does it cost? : $25 a month. Weaknesses? : As of the time of this writing, there is next to nothing on algorithms that will help newer developers prepare for the dreaded white-board interview. This is a minor point, but it makes Treehouse less effective than other sources on this list for interview preparedness. Treehouse is also expensive than most other sources, particularly for the Techdegree. How essential is it? : Treehouse can be extremely useful, especially if you’re very new to tech and will benefit from the deep, detailed explanation of the web development ecosystem that exists on Treehouse. What’s their deal? : Udemy is a site with video courses on various subjects. It’s not limited to tech or development, but their range of development courses is impressive. How much does it cost? : Prices vary, but sales are frequent, so you should never pay more than $9.99 per course. Strengths? : You have quite a bit to choose from here, in terms of material and instructors. Curriculum on Udemy is generally updated more quickly than on the other resources, and that is key with rapidly changing technologies like React or Angular. There are some very strong instructors on Udemy with project-based courses that will boost your development abilities, such as Maximillian Schwarzmuller, Stephen Grider, Mosh Hamedani, and Andrew Mead. If you choose the right courses, you can’t get a better return on your tech education investment than Udemy. Weaknesses? : You have quite a bit to choose from here, and not all of it is created equal. Fortunately, poor quality courses can be pretty easy to avoid. I would recommend only choosing from courses rated 4.5 stars or higher, if at all possible. Tags like “Best Selling” and “Highest Rated” also help you to make informed decisions about what courses to invest in. I believe that you can get more out of Udemy than any other source, but you HAVE to go in with a pretty good idea of what you need to learn and be ready to curate the experience. Having said that, there will be a future entry in the blog coming soon that lays out a path of the best web development courses on Udemy. How essential is it? : Udemy is my current favorite learning resource, and I believe a new developer with the right roadmap can get up to speed skill-wise quicker with Udemy courses than any other resource. I hope this list simplifies things for you and points you towards a learning experience that rocks! Next time on the Self-Taught Developer’s Survival Guide: The best online reference source for developers!